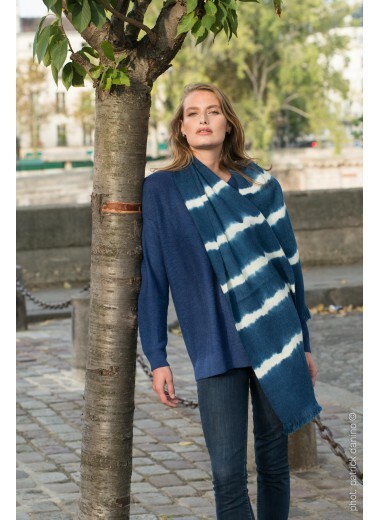 Baby Alpaca stoles and shawls in different colours and styles. Issa, a splendid unique piece ! A 100% premium alpaca stole with a beautiful pattern hand woven on traditional loom. It will sublimate all that you wear. It will be an exceptional present.Hand woven by a Peruvian community with ancestral traditions.